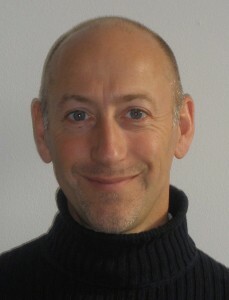 In 2005 Coen van der Kroon has founded The Academy of Ayurvedic Studies (AAS), The Netherlands – as a subdivision of The European Institute of Vedic Studies, France (director: Atreya Smith). The AAS is working under the umbrella of a foundation: Charaka Ayurvedic Research and Education (CARE) and offers a part time 5-year professional training in Ayurveda, a 2-year training Ayurvedic Lifestyle and Nutrition Consultant, a 1½-year Ayurveda and Yoga Training for Yoga Professionals, a 6-month Ayurvedic Nutrition Course, a Jyotish training, and an AyurWellness Trainer training. In the last 3 years Coen van der Kroon has written dozens of articles on Ayurveda for several magazines, an introductory book on AyurWellness, as well as a 450-page correspondence course on basic ayurvedic principles for a correspondence course institute. He is doing research and working on a book on ghee and on a book on Ayurveda and Yoga. From 1999 to 2002 Coen van der Kroon has studied Ayurveda at the Ayurvedic Institute with Dr. Vasant Lad, in the USA and in India. During and after that period he did some internships in India to gain more hands-on experience. He has also studied with renowned teachers in the field of Ayurveda and Yoga, such as Dr. David Frawley, Dr. Sunil Joshi, Dr. Robert Svoboda and Vaidya Atreya Smith (who are all visiting teachers at the AAS). Since January 2001 he has been working for an ayurvedic company in The Netherlands, writing articles and product information as well as doing reseach and giving lectures on specific ayurvedic subjects. March 2003 he started teaching ayurvedic herbology at a small Ayurveda school in The Netherlands. He is presently living in Amsterdam where he also teaches ayurvedic cooking lessons as well as the extensive Ayurveda Nutrition diploma course. Coen van der Kroon has an academic background in Greek and Latin Languages and Culture (M.A. since 1989). He wrote his M.A. thesis on ancient Greek gynaecology with a comparison between Hippocratic and ayurvedic medicine, which was the start of his interest in and study of Ayurveda. After finishing his studies, he started regular travel to India, which he has visited more than 15 times, for spiritual interests, yoga, etc. In India he came into contact with urine therapy (Amaroli), and he is the author of two books on this subject (his first book – The Golden Fountain – became a bestseller and has been translated into 12 languages).